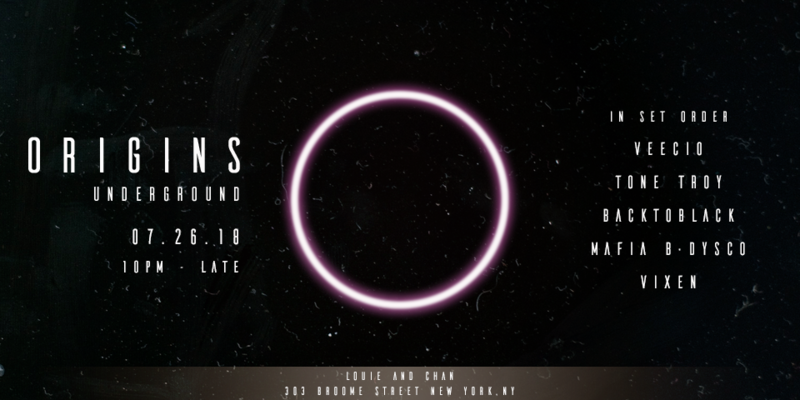 ORIGINS was created to give the underground music lovers a place to enjoy themselves while showcasing the deeper sides of house, progressive, and techno. The night provides an atmosphere of respect while embracing the same interest in life’s greatest remedy: music. Tonight featuring guests Veccio, Tone Troy, BackToBlack, Mafia B & Dysco, and Vixen.